Trump’s most ardent supporters get served up a knockout blow by The Washington Post. 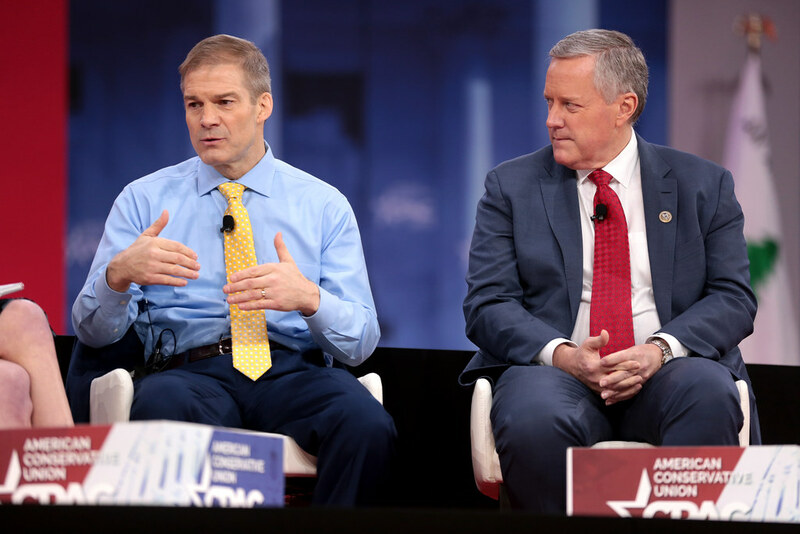 On Wednesday night, Freedom Caucus leaders Reps. Mark Meadows (R-NC) and Jim Jordan (R-OH) filed articles of impeachment against Rosenstein. The stated reason was mainly that Rosenstein allegedly wasn’t giving enough documents to Congress. But in context, the move — which wasn’t even certain to pass the House, let alone lead to Rosenstein’s removal from office — was clearly part of an effort by President Trump’s allies to attack the Justice Department and undermine special counsel Robert Mueller’s investigation, which Rosenstein supervises. However, Trump allies in the House of Representatives did a quick turnaround on Thursday, backing away from their effort to impeach Deputy Attorney General Rod Rosenstein, prompting a fiery opinion piece published by The Washington Post. The article began by explaining President Bill Clinton’s good fortune in having a gang of inept conspiracy-chasing Republicans chasing after him. Clinton, it was often said, was unendingly fortunate in his enemies. Whatever his mistakes and transgressions, his salvation would come in the form of Republicans consumed by loathing, eager to believe any ludicrous conspiracy theory, possessed of dreadful political judgment and unable to tamp down their worst instincts. Article V: The Steele dossier was used as part of the application to obtain a FISA warrant in 2016 to surveil Carter Page. Therefore, Rosenstein must be impeached and removed from office. If you’re clever and informed, you might have caught an important fact about that last article of impeachment. In 2016, when the initial FISA warrant was approved, Rod Rosenstein was not deputy attorney general. He was a U.S. attorney in Maryland, a position he had held since being appointed by George W. Bush in 2005. He didn’t become deputy attorney general until April 2017, when he was appointed to that position by Donald Trump. Perhaps the Freedom Caucus crusaders will amend the articles of impeachment to include Article VI: Unauthorized use of a time machine. As inane as Articles I through IV are, I can’t quite get past Article V. When they were drafting this, didn’t anyone pipe up and say, “Um, wait a second fellas, wasn’t that FISA warrant for Page approved while Obama was still president?” Apparently not. If I were Trump, I’d be looking for more helpful friends. The problem seems to be that no one with any sense wants to make themselves into a Trump defender, not only because it’s so hard to argue that an unprecedented attack on American democracy shouldn’t be investigated, but also because once you start defending Trump, who knows what you’ll wind up having to humiliate yourself by publicly justifying. I’m not saying you have to be an idiot to defend Trump. In fact, mounting such a defense with any degree of effectiveness would require an extraordinary nimble mind (in addition to flexible morals). But maybe it isn’t a coincidence that some of the biggest clowns in Washington are the ones most eager to stick up for him.